“Ceci n’est pas un trio” est une formation qui propose leurs versions de mélodies Swing et New Orleans. Cette musique, à la fois festive et émouvante, est proposée au public dans une façon très amicale et entraînante car les musiciens interpellent le public en l’invitant à chanter, danser et tenir le rythme pendant tout le concert. Saxophone/voix : Angelo Gregorio, piano/orgue: Julien Gillain, batterie : Lucas Vanderputten. 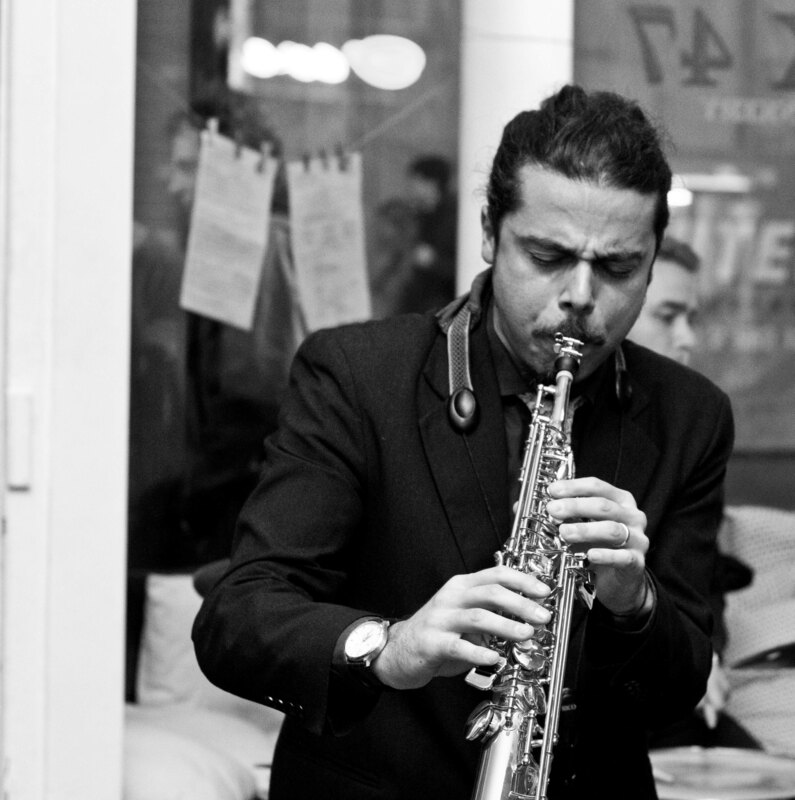 The MOD Is a jazz fusion quintet performing arrangements of underground electro jazz/funk. We collaborate with electro jazz artists around the world to add the human element to the music that deserves it the most. The result is a blissful combination of catchy melodies, danceable beats, asymmetric surprises, and ground-shaking grooves. Orchestra Italiana Bruxelles The “Orchestra Italiana Bruxelles” is the “Italian Big Band of Brussels”. Born from an idea of the Conductor and Arranger Angelo Gregorio.The “OIB” counts 15 musicians from woodwinds to brass, strings, singers and rhythm section plus the percussion. The repertoire propose a selection of italian swing songs from the 20/30/40 without forgetting the famous melody known all over the world like “Volare”, “Parole Parole” and many more.Most of the arrangements are made by the Conductor Angelo Gregorio, other arrangement are gift from various Arranger such as: D. La Rocca, B. Rimerici, Federico Mansutti. 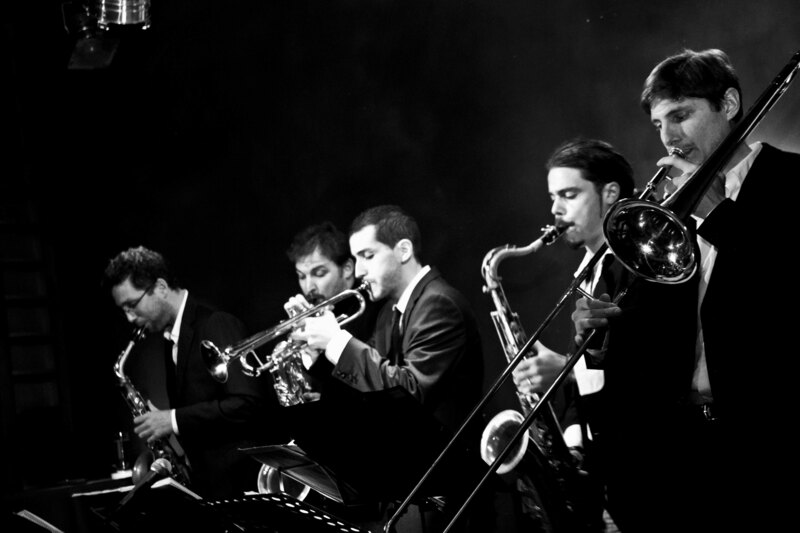 The Cool SchoolThe Cool School is a Septet born in 2013 in Brussels. Created by the spanish trumpet player Marco Llano.The band is composed by different european nationalities issues from the Brussels jazz scene.The purpose of this project is to recreate for the audience, the sound and the atmosphere of the West Coast Jazz also know as Cool Jazz; a style developed mainly by white jazz musicians (Chet Baker, Stan Getz, Gerry Mulligan…) in the early 1950’s around California.Another characteristic of the style that Marco Llano wanted to apply to the band is the absence of harmonic instruments ( piano, guitar…), just featuring 5 horns (Trumpet, Alto Sax, Tenor Sax, Barytone Sax, Trombone) and Double Bass and Drums. Alla ricerca delle radici – “Searching For The Roots” His extraordinary, one of a kind solo saxophone project.He’s one man and his saxophone. No other instruments apart from some extra special effects are used.He uses a loop machine, an electronic pedal which records notes, sounds and effects played live with nothing pre-recorded.Some songs are introduced by a short story, enveloping the lestener in the atmosphere, from gothic cathedrals to savannah landscapes, they’re stories of primitive inspiration, about animals, poets and people.